Your organization can become a Corporate Member for as little as €500 for ‘Supporter’ level, all the way up to €20,000 for ‘Platinum’ level. The above all opted for ‘Bronze’ level, except Toursprung and NextGIS who are ‘Supporters’. Coming soon we’ll bring you news of some new ‘Gold’ level members! Each level has different benefits but the biggest benefit of all is the knowledge that your organization is doing its part to support the growth and sustainability of the OpenStreetMap project. So thanks again to all our Corporate Members! This entry was posted in membership on May 27, 2017 by HarryWood. An OpenStreetMap Featured Image (otherwise known as “Image Of The Week”) is chosen each week. Recently we’ve been putting them out on twitter and facebook, so you’ll most likely have seen them there. Actually we’re a little behind on posting them, so consider this a preview! But featured images also appear each week on the wiki main page. If you come across an image which you would like to put forward as image of the week (either your own image or somebody else’s), head over to “Featured image proposals” and edit that page to make your suggestion there. Anyone can join in with the process of investigating, improving and discussing the suggestions, and picking an OpenStreetMap image of the week each week. If wiki editing is difficult for you, just email CWG with your suggestions. This entry was posted in Uncategorized on April 5, 2017 by HarryWood. Version 2 of the “iD” editor recently went live. 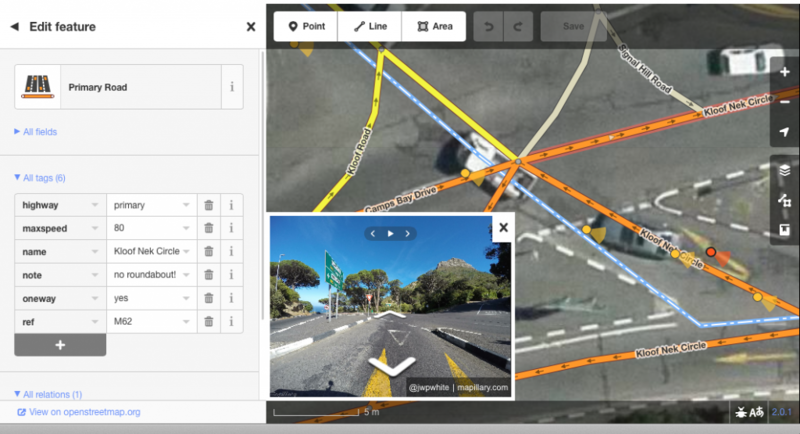 New features include better support for right-to-left languages, authenticated calls to OpenStreetMap servers, and an updated Mapillary viewer. Behind the scenes the editor code has been made more modular, helping future development and customisation. Bryan Housel has been leading the development effort. Read more on his blog post here. Big thanks to him and all the developers involved. iD is the default editor appearing on the OpenStreetMap website when you click ‘edit’. Never tried? You’ll need to get signed up and logged in first. Follow the ‘walkthrough’ to learn how ‘iD’ works. This is improving all the time, but there’s also a range of desktop or mobile app alternatives. See the list of editors. This entry was posted in editors on November 20, 2016 by HarryWood. 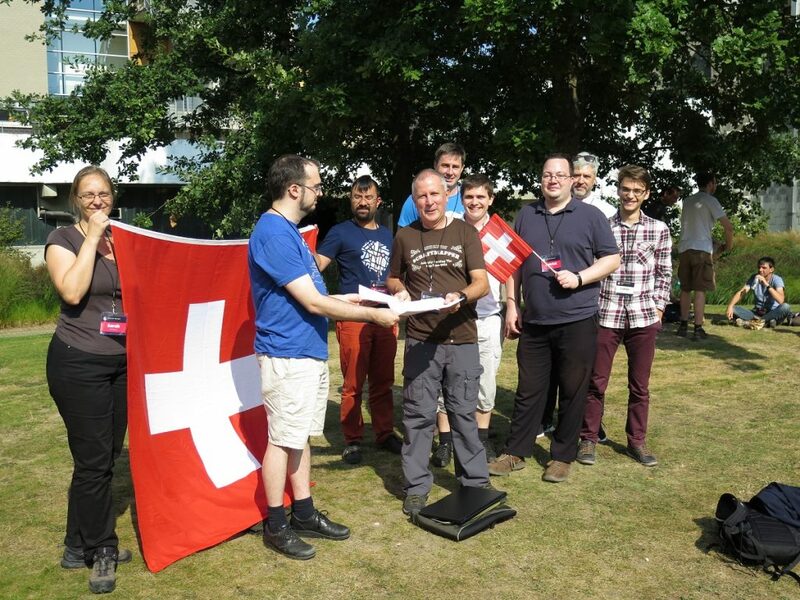 We’d like to welcome the Swiss OpenStreetMap Association (sosm.ch) as our latest official OpenStreetMap Foundation Local Chapter. With this formal agreement SOSM and the OSM Foundation have declared that we “shall seek to mutually support the activities of the other”. It doesn’t entail any drastic changes, but from a practical standpoint, it does mean SOSM have “official” status which may help them in any dealings with government and political/advocacy groups. It also means they are formally permitted to use the OpenStreetMap trademarks. Of course we hope to see other countries formalising their foundation status in this way. Switzerland may also serve as an inspirational example in the way this group has been established in support of the local community. As described on their about page “SOSM was created to further the goals of the OpenStreetMap movement, to strengthen the contacts with authorities and industry, to facilitate the activities of OSM community members in Switzerland and to represent the Swiss OSM community in other organisations … providing some structure when needed and remaining as lightweight and as unobstrusive as possible”, which seems like an excellent way to orientate a local OpenStreetMap organisation. You can also read more about the Swiss OpenStreetMap community on this OpenCaged data interview with Simon Poole about OSM in Switzerland, and you can follow SwissOSM on twitter. This entry was posted in Uncategorized on October 23, 2016 by HarryWood. State Of The Map, Thanks! Thanks to everyone who made it to the international State Of The Map conference in Brussels two weeks ago. With around 400 attendees from 52 different countries, this was a fantastic event bringing our community together. The early steps of organising the State Of The Map 2017 are in progress! We’ll bring you an announcement soon about the choice of host country for next year, and of course there will be an opportunity to help with organising and sponsorship. Start thinking about it. Earlier the better! Video from all the main auditoriums at the Brussels conference can be found at the conference website. We’ll be bringing you the edited per-session versions of these talks soon. More photos from Brussels can be found in this set from Tatiana the official conference photographer, and also on the sotm2016 flickr tag. Finally SoTM organizing volunteer, Gregory Marler, described the Code Of Conduct of the conference, and some of the issues which came up. This gives a really interesting insight, and shows why it was an important and valuable step to introduce a clear code of conduct, as a way to encourage diversity at our conference. Just one of the many things our organisers and volunteers worked hard on, to keep us all happy at this great event! If you attended the conference please check your inbox for a “State of the Map: Feedback Survey“ email. The organising team would appreciate your feedback to help make it even better the coming year. During the conference we launched a new OpenStreetMap fundraising drive. In the past, the conference itself provided a significant annual source of funding for the foundation, but as the project grows we need more reliable funding sources. Your donations help will ensure continuity and continued independence of OpenStreetMap. Please help us reach our fundraising goal by donating and sharing the link: donate.openstreetmap.org, our fundraising site. Finally if you couldn’t make it to Brussels for the annual international OpenStreetMap conference, remember there’s a whole range of events large and small happening all over the world (see the calendar). 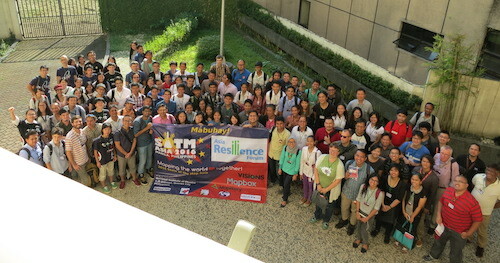 Just last weekend there was “State Of The Map Asia“, the second “local” conference for the asian continent, which took place this time in Manilla, Philippines! This entry was posted in State of the Map on October 10, 2016 by HarryWood. OpenStreetMap has a map display, and more importantly a database of raw map data, and more importantly than that a community of map contributors! All of these things require servers. Big computer systems crunching lots of data and handling lots of internet traffic. This is the realm of the “Operations Working Group“, who make the decisions and take the actions that keep these servers ticking, and keep OpenStreetMap (the map, the database, and the community) up and running. Difficult technical work which only a few people are directly involved in. But today Andy Allan blogged about how they’re working on getting more people involved in the Operations Working Group. The OpenStreetMap project is nearly 12 years old, and we’ve been very lucky to have a small team of talented volunteer system administrators doing a fantastic job over that time, spending donated money wisely and meeting some huge scaling challenges for the core infrastructure. But increasingly OWG have been quietly enhancing their server configuration management approaches. All code/configuration scripts are maintained openly in github, and recently the team are looking to make this easier to test, so more people can feel confident in proposing improvements to the server set-up. You can donate to the OpenStreetMap foundation, which will help fund our servers. But you can also get involved in improving the server set-up, and it’s gradually getting easier to be more directly involved. If you can help, read Andy Allan’s blog post to learn more. Thanks to Andy and the rest of the Operations Working Group for all their hard work. This entry was posted in OSMF Working Groups on July 28, 2016 by HarryWood. The FOSSGIS conference (Free and Open Source Software for Geographical Information Systems) takes place annually, usually in Germany. This year it takes place in Salzburg, Austria. Tickets are still available. Register here. Registration is free for OSM contributors. This big conference has included OpenStreetMap as a large part of the programme, and has welcomed OpenStreetMap community attendees throughout the history of our project. We gave a round-up of local SOTM conferences previously. Essentially FOSSGIS is the local “State Of The Map” conference for the German-speaking part of the world. With over 400 attendees last year, this is a big event in general, and a big event on the OpenStreetMap calendar! This year the conference also features a special “OSM Sunday” in the run up to the main conference. Sunday July 3rd is a day dedicated to OpenStreetMap topics. Don’t miss it! On top of that, around half of the presentations, lightning talks and workshops during the week at the conference will be on OpenStreetMap topics (other topics being around open source geo software). And don’t forget the big social event on Tuesday, July 5th. This entry was posted in State of the Map on June 23, 2016 by HarryWood. The Operations Working Group are in the process of planning some hardware moves as a result of maintenance at our primary datacentre. The plans are subject to change, but these moves are expected to take place on Monday 9th May (a week from today), and this will mean a period of read only operation lasting for up to 24 hours (into Tuesday). The read-only period will mean the OpenStreetMap website and map is still available, but no map editing will be possible during this time. The ‘2016 May server maintenance’ wiki page has some more technical details, and will be updated with more precise timing information as the plans are finialised in the coming days. We’re putting out this announcement to give some advanced notice, but we appreciate some people will be wanting to know more about the exact timings of the read-only period. Please have patience. The Operations Working Group are busy making plans, and will aim to firm things up in the coming days. This entry was posted in Downtime, Operations on May 2, 2016 by HarryWood. State Of The Map CZ+SK, the Czetch & Slovakian conference, is coming up soon on May 21st in Brno. 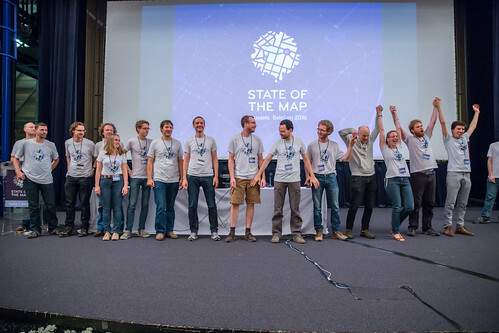 State Of The Map France will also take place May 20th-22nd in Clermont-Ferrand. State Of The Map Japan will take place August 6th in Tokyo. State Of The Map US will take place in July 23rd to 25th in Seattle, Washington. 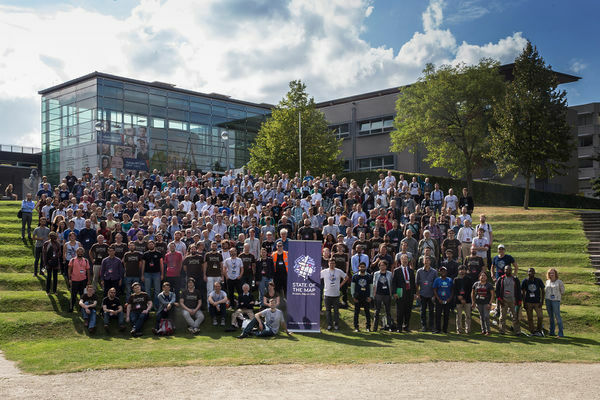 …but don’t forget, the main get-together for all of the community, is the international OpenStreetMap conference “State Of The Map“, which will be taking place September 23 – 25 in Brussels. This entry was posted in Regional State of the Map conferences, State of the Map on March 6, 2016 by HarryWood. OpenStreetMappy Christmas to all the map contributors and users! Take a look at node number 1 for yourself. Now we have to point out that, although it has id number 1, this is not the first ever node in the OpenStreetMap database. It just ended up with this id number after some database re-arrangements of these low-numbered ids. OpenStreetMap has 3.1 billion nodes in the database, and of course this number is rising all the time as more and more data is contributed. Nodes can represent all kinds of things. 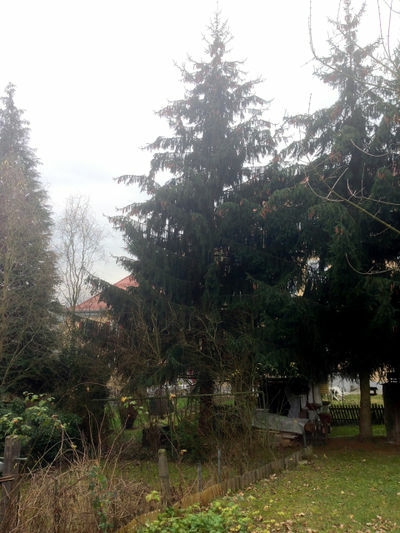 Often they’re just mid-points along a way, but yes… nodes can represent trees. We have nearly 6 million of those on OpenStreetMap. So whichever leaf_type you get in your part of the world, we hope you have an OpenStreetMappy Christmas! This entry was posted in Uncategorized on December 25, 2015 by HarryWood.